You know all those stories that claim fairies cry sparkle tears and elves travel by rainbow? They’re lies. All lies. I’ve spent my life as an official adventurer. I travel across enchanted kingdoms saving magical creatures and fighting horrible beasts that most of you think are only myths and legends. I’ve never had a social life. My friends have all forgotten me. And let’s not even talk about trying to do my homework. So – I’m done!! I’m tired and I want to go back to being a normal girl. But then along comes “Prince Charming” asking for help, and, well, what’s a tired girl like me supposed to do? What if you had something you were great at, but the novelty had worn off and you weren’t sure you wanted to keep doing it? 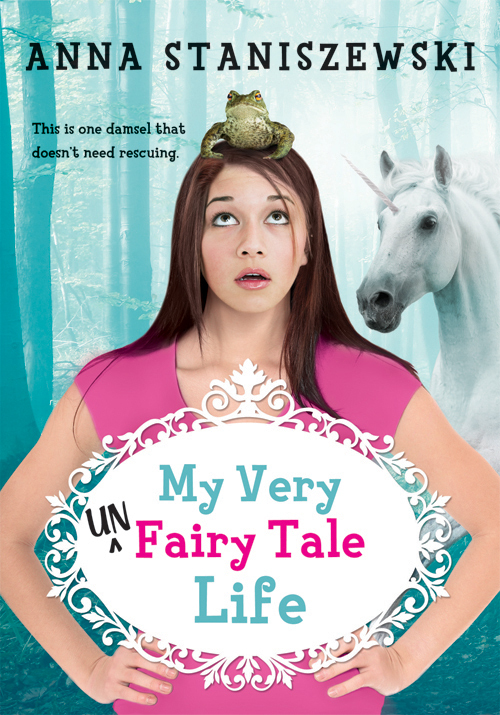 Enter Jenny’s UnFairy Tale life. There are so many great messages that this novel gets across. Learning that what you thought you wanted and would make you happy isn’t going to if you have to give up things you enjoy is a great lesson all people can learn from. Relating to others and trying to make meaningful connections is also something that can be difficult when caught up in your own life. Facing your fears can be difficult, but there’s a solution to everything, if you look hard enough. Of course, Jenny’s “kindergarten phrases” as she calls them are usually great life advice that all of us could use a refresher in. I absolutely love the tie in between Earth with Jenny’s aunt’s love of animals, and Jenny’s love of mini golf, and how that transitions to Speak and trying to defeat the dastardly villain. Although listed in the teen category, I think this book would fit the perfect niche of 5th grade on, as there is a great story line and a lot of reminders about how to be a good friend, and a good person, for all. Born in Poland and raised in the United States, Anna Staniszewski grew up loving stories in both Polish and English. She was a Writer-in-Residence at the Boston Public Library and a winner of the PEN New England Susan P. Bloom Discovery Award. Currently, Anna lives outside of Boston, Mass. and teaches at Simmons College. 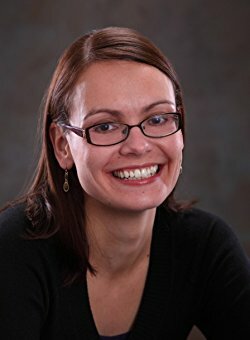 When she’s not writing, Anna spends her time reading, eating chocolate, and challenging unicorns to games of hopscotch. You can visit her at http://www.annastan.com.